Shabab Oman II was a very exciting project, completed in 2014 with Dykstra Naval Architects and Damen Shipbuilding for the Royal Navy of Oman. Rig constrction and assembly was based in Vlissingen, the Netherlands. 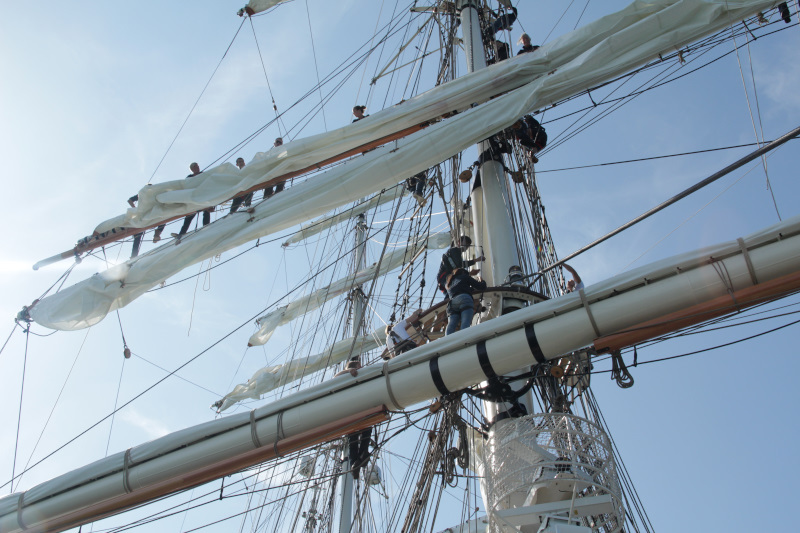 A team of 12 riggers worked together to fabricate standing and running rigging, as well as step masts, cross yards and lead the lines to deck. 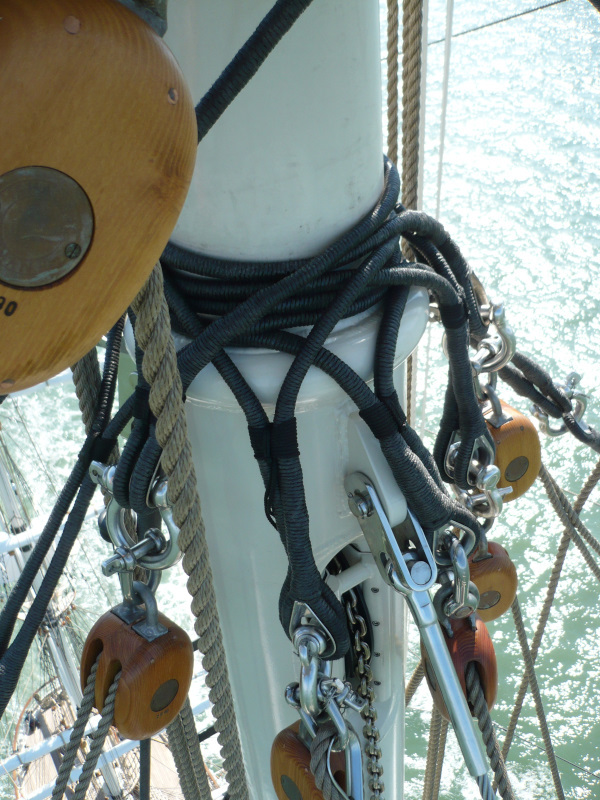 Standing rigging was of stainless steel, employing traditional wire seizings, splices, talruit clamps and spelter sockets as wire rope termnations. 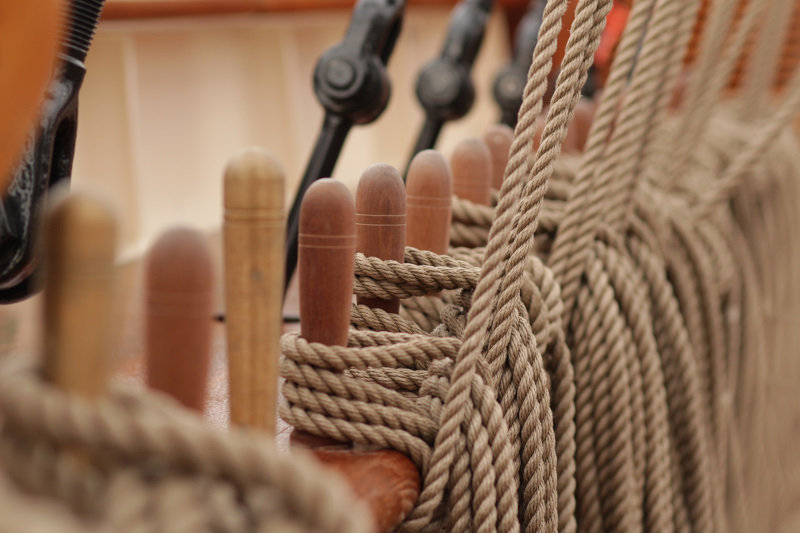 Harbour and Sea trials were held out of Vlissingen, where the ship was also officially handed over to the client. 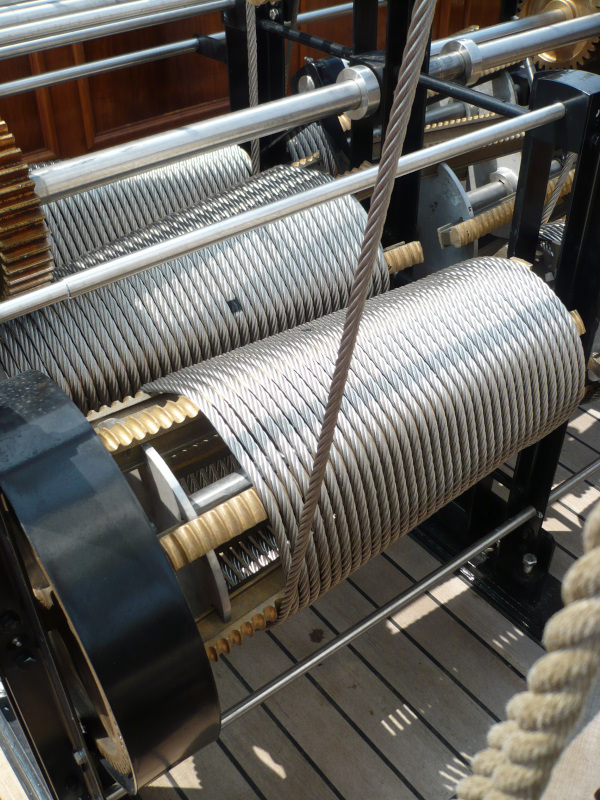 Harbour trials also included tuning and training of the ships Jarvis Winches.The delivery was to Den Helder, North Holland. 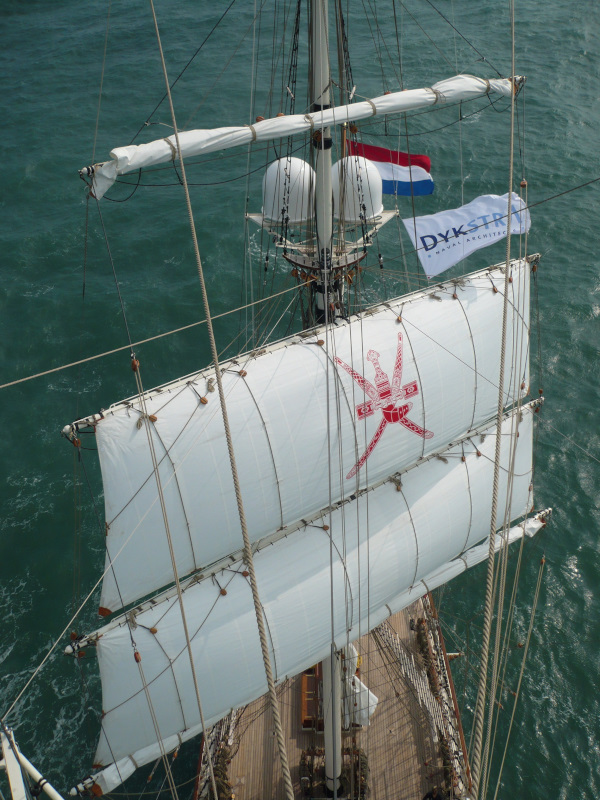 Some final tasks were also carried out by Sailmaster B.V. in the Sultunate of Oman. 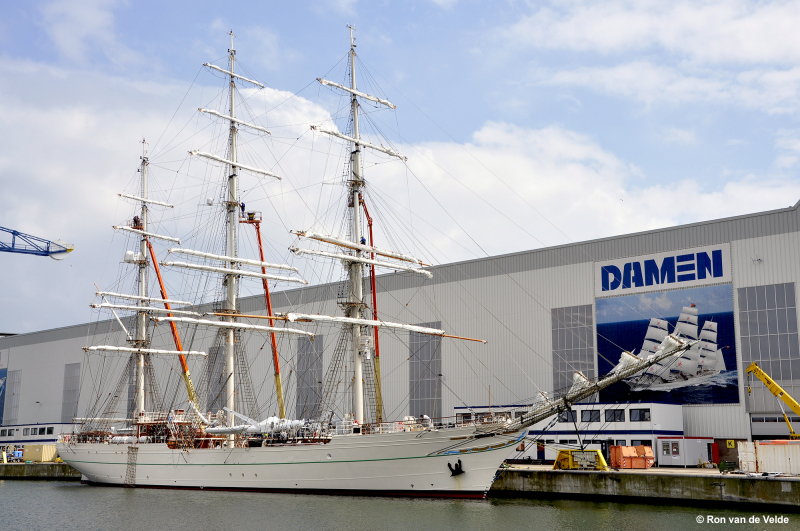 The third in the ‘STV Clipper’ line from Damen, Shabab Oman II is the largest, at 87m overall.